Sooner or later, most kids get fascinated by dinosaurs. Why did they die? Were they brushing their teeth? Could this cement glitch in our front steps be a T-rex fossil? My favorite question is: “What color were dinosaurs: green, brown or pink?” And the answer is that, for all we know, dinosaurs may have been pink with golden polka dots. Not practical for survival, but definitely attractive to young females. Without preserved flesh, dinosaurs’ colors are left to our imagination (*). 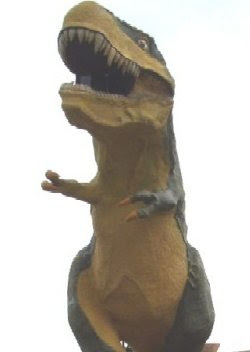 Want to impress your kids with some knowledge during their dinosaur fascination phase? 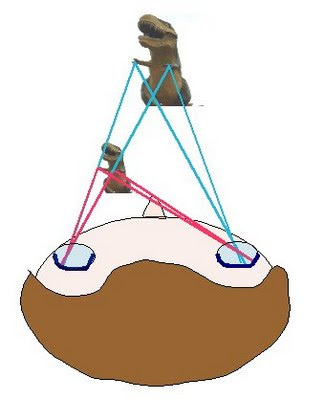 Explain the math of “binocular (two-eyed) vision” to them and show why T-rex was one of the most successful predators. Do you think this is a 30-foot high movie prop or just a 5 inch high plastic model? From one picture of a single object without a context, you can't necessarily tell how far away it is or how large it is. Our second eye comes to the rescue and solves the mystery of what is in front of us, how large it is, and how far away. Magenta lines from the tiny model produce a very different image on the right eye than blue lines from a full size monster. Depending on what exactly the right eye sees, we know which dinosaur we are facing. This ability to perceive and fuse information from both eyes is called binocular vision. The visual area in front that both eyes can see simultaneously, is called the binocular field of view. See light blue triangular area on the illustration below. For any object that happens to stand in this area we can define its size and how far away it is. Even if it is a pink dinosaur in your daughter's pink room. Up until recently, people believed that with their large nose and deep positioned eyes, dinosaurs did not have binocular vision. In fact, in the Jurassic Park movie from 1993, one human character tells another that a T-rex can't see them if they don't move, even though the dinosaur is right in front of them. 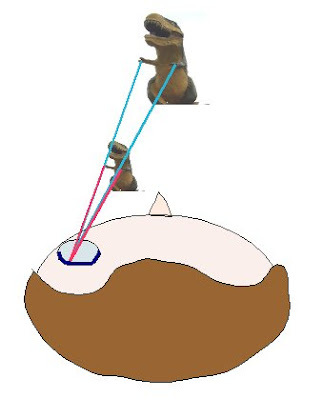 But recently, scientists designed some clever experiments with T-rex skulls and agreed that T-rex probably had a large binocular area of about 55 degrees (see brown illustration below left). This ability to perceive depth in these large areas in front, and to easily distinguish its prey from the surrounding background, helped T-rex to be an aggressive predator. So, the T-rex did see those kids in the movie! 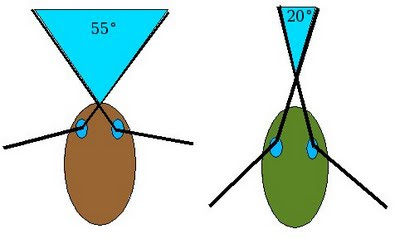 In comparison, most other dinosaurs, such as the Allosaurus, and in fact our contemporary crocodiles, have deep and wide-positioned eyes and a narrow binocular field of around 20 degrees (see green illustration below right). Interestingly, this nature math defined their behavior, turning them into patient, sneaky creatures that sit quietly and attack only when prey is right in front of their nose - inside the binocular field. Or they rely on their prey's motion to separate it from the background outside of the binocular field. So, next time you see a dinosaur, make sure to stand outside of its 55 degree binocular field, and do not move, or just run as fast as you can in the opposite direction. Here is a link to a movie showing how a dinosaur’s field of view was mapped using their skulls. Note (*): "What color were dinosaurs? Nobody knows..." This fun dinosaur fact has been considered true for thousands of years. But two new scientific papers published in Science and Nature in 2010 suggest that it may sometimes be possible to find out the color of some of the dinosaurs' feathers from fossils. Due to the fact that the number of likes were a lot more prominently shown than the superstar rankings, this was formerly not feasible. With the Facebook 5 Star Scores there has been more focus on real engagement of users and significantly less focus on fluffy metrics of vanity. Friv 2019 is all new Friv games online free for kids. 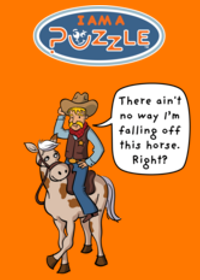 We have include games from Friv, Kizi, Y8, Yepi... Visit and play now, free for fun and new games!Toongames.in update new-best free Cartoon Games online from internet. Toon Games is a free online cartoon flash games site where you can find games from all your favorite cartoons such as Ben10, Dora, Tom and Jerry, Spongebob and many more.